New Years Eve is the ultimate excuse to have one last party to mark the end of one year and to wave a big hello to the forthcoming year and celebrate in style. 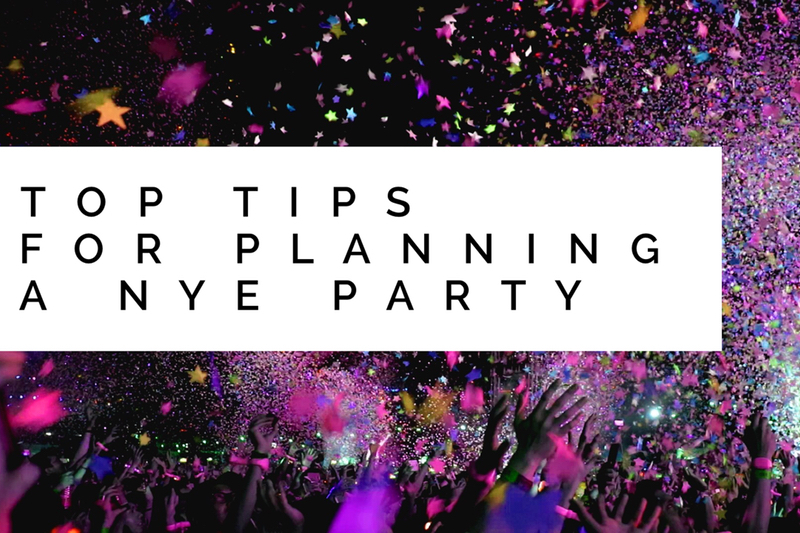 If you’ve found yourself in charge of planning a club night, corporate event or even a house party, simply follow the Function Junction’s top tips for planning a New Years Eve party. New Years Eve is probably one of the hardest nights to get a taxi, so prep guests in advance with taxi firm numbers to pre-book their travel home and local hotels to stay in. Or to be the number one host, why not consider organising a complimentary mini bus or coach home for guests to be ferried home instead. To save money on drinks, take advantage of Christmas drinks offers in supermarkets by stocking up on wine, Champagne, beers and spirits during November and December. Phoebe Dunn, Events Producer for AAT told the Function Junction: "People love to share their event experiences so I’d always make sure my event has a hashtag they can use." Creating a personal hashtag for social media use for corporate and large-scale events is great for marketing and PR purposes, or even fun for guests to use at smaller events as they can reminisce about the good times the next day. Set an alarm on your phone for 11.45pm to remind you to start prepping for the midnight countdown. This is one event of the evening that you don’t want to miss! A party doesn’t have energy unless there’s music, so make this tip one of your priorities. Bring excitement and entertainment by hiring a live band for your occasion. Simply browse through the Function Junction’s huge array of acts and live bands via the ‘Find an act’ feature on our homepage. Our favourite party bands for a New Years Eve party are CHROME, who are a modern, seriously stylish and highly experienced outfit who specialise in playing parties, corporate events and club nights. For something a little more edgy, The Indies are a brilliant 4 piece male band playing smash hit indie rock anthems. The DMC’s are a vintage themed, female fronted live band, who play well known tunes from the 1950’s right up to the present. day. Make the transition from Christmas to New Years Eve decor quicker by taking down the stereotypical Christmas decorations, like the Christmas tree. You can then use the fairy lights to decorate your space instead. Keep out the more winter-themed decorations (if you have them) like wreaths, fur cones and fir tree garlands, as these still add to a cosy and festive vibe. Balloons are also an easy and affordable decor idea for New Years Eve, plus they create a brilliant backdrop for photographs. New Years Resolution games - get guests to write down their New Year resolutions and hang them on a ‘wishing tree’. Or with a more intimate party, you can read them aloud and have other guests guess who the resolution belongs to. New Years Eve is usually the last party of the festive season, so whether you’re organising a party at home or a spectacular ball, why not rev up the dress code to cocktail or even black tie. Having a dressing up box on hand for guests to dip in to is also a good idea. Fill it with as many fun New Years Eve themed decorations like crowns, hats, party blowers, oversize glasses and confetti or party poppers, for your guests to play around with. For enquiries about our live bands and acts, please don’t hesitate to contact the Function Junction on 0800 0343232 or email [email protected].